Cutting edge precision tooling for the woodworking professional. Armadillo Tools specialise in providing innovative, cutting edge, precision tooling and machinery to consumers all over the UK. Armadillo Tools got in contact with The Creative Agency with a view to finding an agency to assist with their email marketing. Upon our initial consultation, The Creative Agency looked a little deeper and quickly identified areas which would help improve their position in a highly competitive marketplace. Armadillo Tools are a part of Vertex Industries Limited, who are a family owned business, which was a partnership from the early 1990’s and traded as Vertex Group UK, until becoming incorporated in 2014. Vertex Industries Limited is the parent company of three separate businesses. The challenge was to bring these brands together so that they were instantly recognisable as being part of one organisation. The Creative Agency got to work on this and made small tweaks to the affiliated company logos, creating a consistency with typography and colour palettes. Once a relationship had been established, Armadillo Tools decided it was time to refresh their website to be more in line with their brand. The previous website was clunky and built in Magento, which is not the most user friendly. Armadillo Tools required a site which they could easily manage internally, due to the ever changing products. The Creative Agency decided that a WooCommerce store would be the best fit for Armadillo Tools and produced a fully operational e-commerce store which contains over 600 products and variables. To further their position in the market place, Armadillo Tools commissioned The Creative Agency to continue with their ongoing email marketing, which includes two separate newsletters: Joinery E-Trader and Cutting Edge Offers and Information. A new brand was put together for Joinery E-Trader (JET) utilising the same design style as the brand and a bi-weekly newsletter is sent to joiners all over the UK, displaying used tooling and machinery for sale. 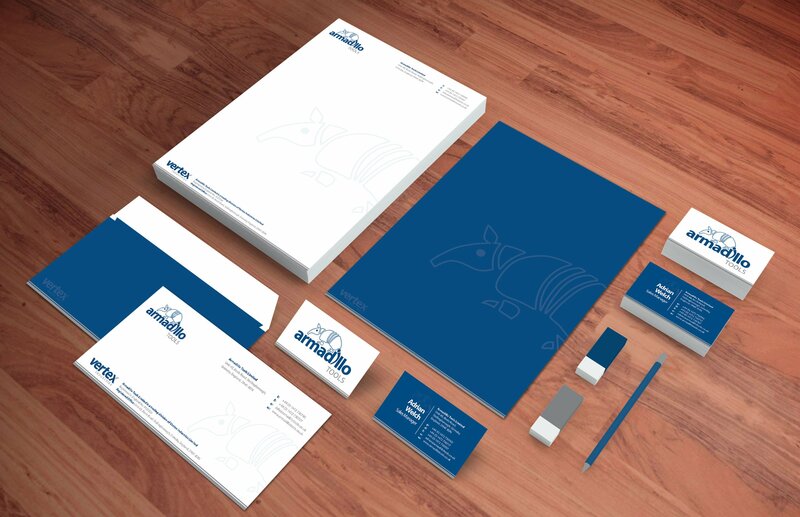 As the partnership has grown, The Creative Agency have continued to work with Armadillo Tools on various projects including marketing literature, signage and advertising.